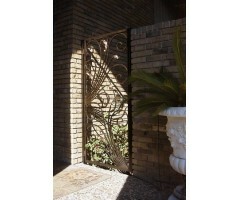 Aesthetically pleasing scrolls form hearts and diamonds within this gate design. .. This entryway boasts an elegant styled single gate with an arched top to compliment the focal point of the home's architecture. .. 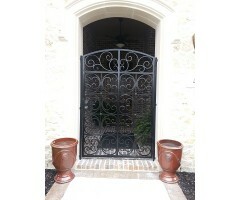 The columns and arched architectural detail of this luxury home is complimented perfectly with this exquisite double gate. .. 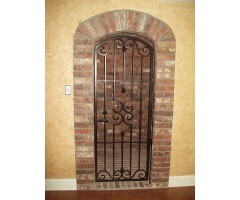 This gorgeous single arched gate with elegant scroll details on the top and bottom allows a welcoming open simple bar and collar for the center. .. The top scrollwork on this full size double gate compliments the extensive brickwork and landscape on this beautifully planned entrance. .. 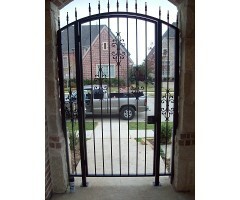 This single full gate design offers beautiful security and style for any type of architecture. .. 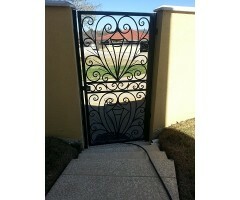 This gate has a great combination, mixing contemporary lines with the perfect amount of ornate element. .. 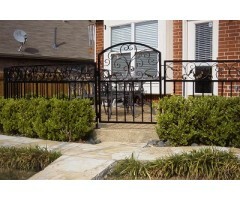 This gate (and fence) was designed with the decorative scroll and leaf positioned above the hedge allowing the fence to be seen and appreciated. .. 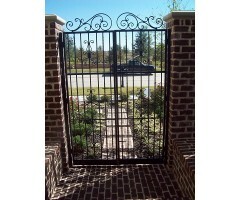 This gate was styled with scrolls around the edges and 4 center pieces and collars to add interest. 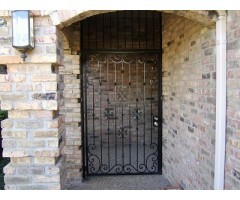 ..
"Exquisite" is the word I would use to describe the look this exterior entrance gate gave to this home. .. 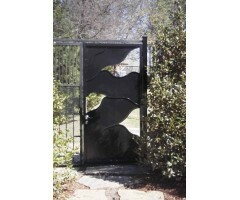 This unique gate was created to make a big visual impact while offering the ultimate privacy. .. 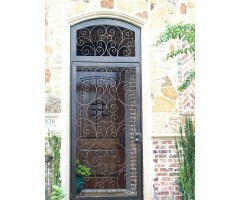 The artistic flair of this full size single exterior entry gate is gracefully pleasing to the eye. ..